Now that you've tried at least two dozen 'ergonomic' chairs and purchased about half of them, are you tired of finding out that none of them feel like they did when you tried them in the store? Well, by now, you should know which part of each chair actually felt good. And now is when the folks at BioFit have come up with the BYOC option - Build Your Own Chair. The multi-award winning work space design lab, BioFit wants to make sure you get just what you need, so you get to choose all the performance options as well as the design features, see your creation, and then email BioFit for a quote. If you can't decide, of course, you can get hands on assistance form a BioFit rep.
Not that you have to BYOC. 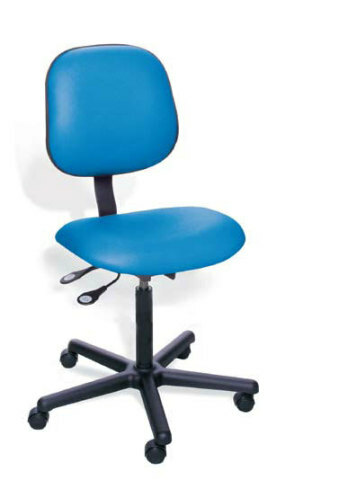 BioFit has many lines of task chairs and stools that can be used for a wide range of laboratory, drafting, and office jobs. Take, for example, the BEN Series Chairs, recommended for work environments in industry, education laboratory, clean room, heathcare, and office. Like BioFit's other Series Chairs, the BEN can be customized even further by selecting from several performance, fabric, and color features. Don't be discouraged by the 'lab look' of the BEN chair, if you want a rich looking high-performance desk chair, BioFit has a more executive looking line of ergonomic chairs, like this ZEPHYR Chair. 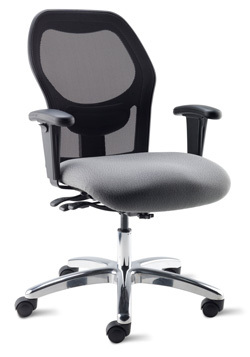 BYOC or customize a Series Chair; either way, you will get a 13 year warranty and solid, proven, ergonomic components on each chair, including a 5-pedestal base, fully adjustable cushioned armrests, a seat that allows for even weight distribution, lumbar support, and easy-to-use height adjustment features.